QComp Technologies was founded by Tom Doyle back in 1990 when the control and automation market was expanding and a need for qualified integrators took hold. Initially, our core group consisted of control engineers and software engineers focusing on applications in the paper and metals industries. In 1996, the scope of our automation projects expanded to include mechanical content and we added mechanical engineering talent and assembly facilities. Shortly there after, our first true robot project was awarded, which was an assembly line for transformer cores. The whole robotic theme began to make sense and we decided to become an integrator for ABB in 1997. In 2008, we took a step back and looked at the rainbow of projects and solutions that we provided in the past. We came to the conclusion that we should leverage this base into pre-engineered solutions. Using past experiences and successes as the foundation for its robotic solutions, QComp Technologies provides customers in the flat glass, solar, food, consumer goods and manufacturing industries with flexible, customizable solutions that offer a breadth of advantages, including space and labor savings, improved quality and consistency, and reduced operating costs and material waste. By operating on a philosophy of using pre-engineered solutions as the building blocks for our systems, we are able to provide well-proven, cost-effective solutions to meet customers' ever-changing needs. In May 2018, QComp was acquired by OwnersEdge. 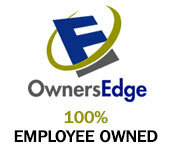 As a 100% Employee-Owned holding company since 2015, all OwnersEdge employees within its four affiliate companies have a vested interest in customer satisfaction. Our shared ownership is the “edge” we bring to customers. OwnersEdge, Inc. is a 100% ESOP holding company that strives to invest in and build sustainable companies throughout the Midwest. 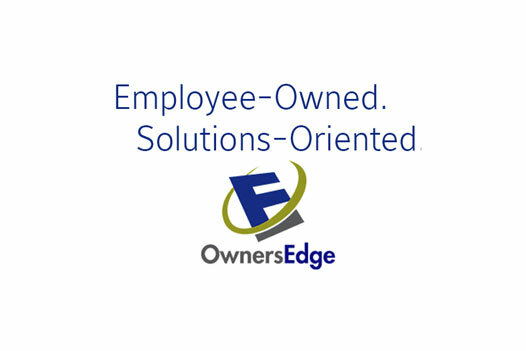 Affiliate companies in the OwnersEdge portfolio utilize their industry expertise to drive business growth and create value for our stakeholders including customers, communities and our ESOP employee owners. 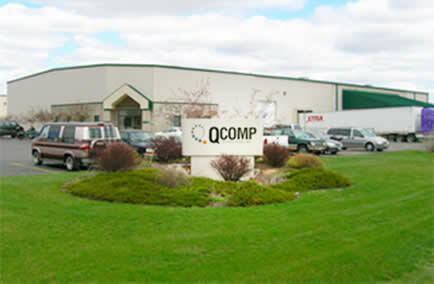 QComp Technologies recently added 2,500 square foot addition to their state-of-the-art manufacturing facility in Greenville, Wisconsin, which brings their total plant capacity to 30,000 square feet. Machining, welding, paint and powder coating operations are done by 3rd party suppliers. 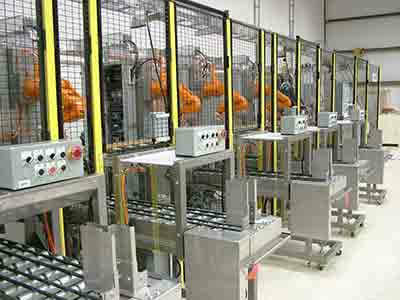 QComp engineers, programs, assembles, tests and stages the complete robot cell at the Greenville location. The core of our system is, of course, the robot. 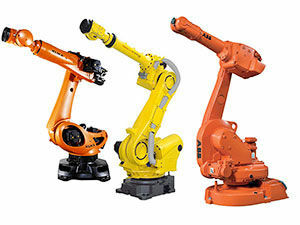 We now can offer solutions utilizing ABB OR FANUC robots. Most systems also incorporate Rockwell PLC's, Panel views and safety PLC, servos and myriad of many other technical components. Many systems incorporate intelligent vision systems for product location guidance and quality inspection. We have extensive experience with Cognex solutions as well as ABB's Pickmaster and FANUC vision. We have many systems in the field using 2D, 2.5D 3D and color technologies. Our systems are engineered in 3D using Autocad Inventor and we routinely employ simulation tools to validate concepts and layouts. Of course, we also own a variety of robots that we use for product testing. Robots are very predictable, the customer product at high acceleration rates may not be predictable. QComp has a variety of standard systems in the picking, packing, and palletizing areas. We also have a variety of solution targeting the glass and solar industries. We design and manufacture a line of conveyors for this industry also. Robust robot tooling is one of the most critical items in a typical system. We have a design philosophy of robustness and quick to repair. The tools are typically modular, steel, with much attention given to the cabling support/dressing. In a collision, we want the tool to "win". QComp has vast experience in robotic integration of packaging and material handling systems in a broad spectrum of industries including Glass, Consumer, Pharmaceutical, Food, Paper, Plastics and Metals. For more information on our experience and capabilities specific to your industry, please contact one of the following technical sales representatives.